Fantasy Spas are 115v plug-in ready; requiring no additional electrical connections. Beyond easy setup, Fantasy Spas are easy to maintain. Constructed of technologically advanced polymers, the unicast shell is beautiful, but RokSolidT™ - virtually impervious to the elements. As the years go by you'll appreciate the low operating costs resulting from Fantasy Spas' intelligent engineering. The walls of each spa are completely filled with polyurethane insulation to provide maximum efficiency and strength. Fantasy Spas also offer a dual speed therapy system so you can soak while being gently massaged, or increase the power for a more vigorous deep-tissue massage. All Fantasy spas are pre-plumbed to accept an after-market ozonation system that can eliminate up to 80% of chemical use. 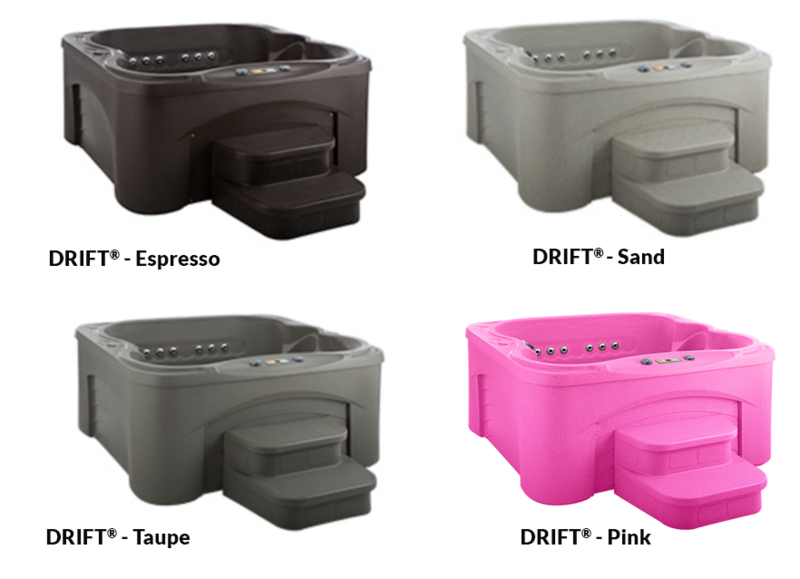 Fantasy spas are available in two exciting colors: Granite or Sahara. Standard equipment also includes a Gray color ATSM registered safety cover with locking clips adding convenience and safety to your spa experience. Topside electronic controls provide a convenient way to command temperature lighting and water flow pressure. Each Spa has jets that are designed for 100% hydrotherapy, including the all important neck and shoulders area. Top-loading filters are readily accessible for quick cleaning. Enjoy a safe, healthy spa environment. Fantasy Spas' RokSolid™ advanced Polymer shell provides a surface that is extremely durable and easy to keep clean. The Drift features two captains seats opposite a fully jetted bench, 17 jets with stainless steel trim and soothing waterfall feature. Fantasy Spas are manufactured to be portable, durable and affordable and can be plugged into any standard 115v outlet without any additional electrical requirements. 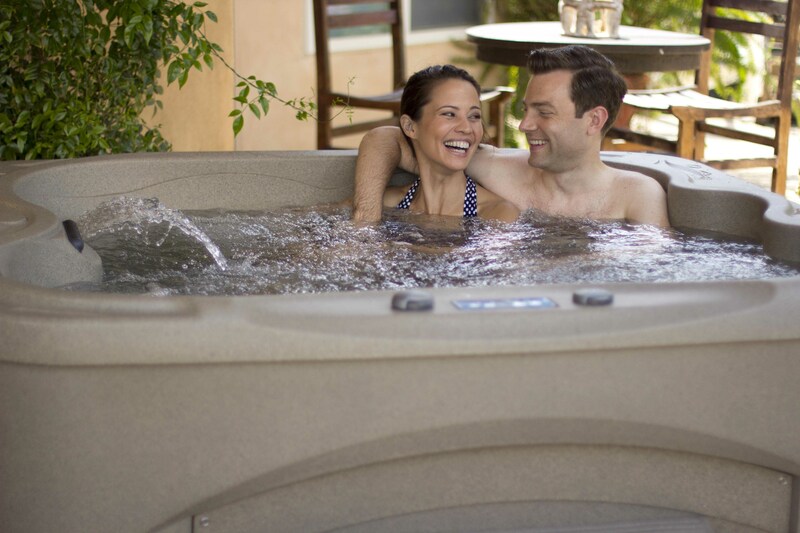 With a durable RokSolid™ shell, our spas are built to withstand the elements and will provide enjoyment for years to come. 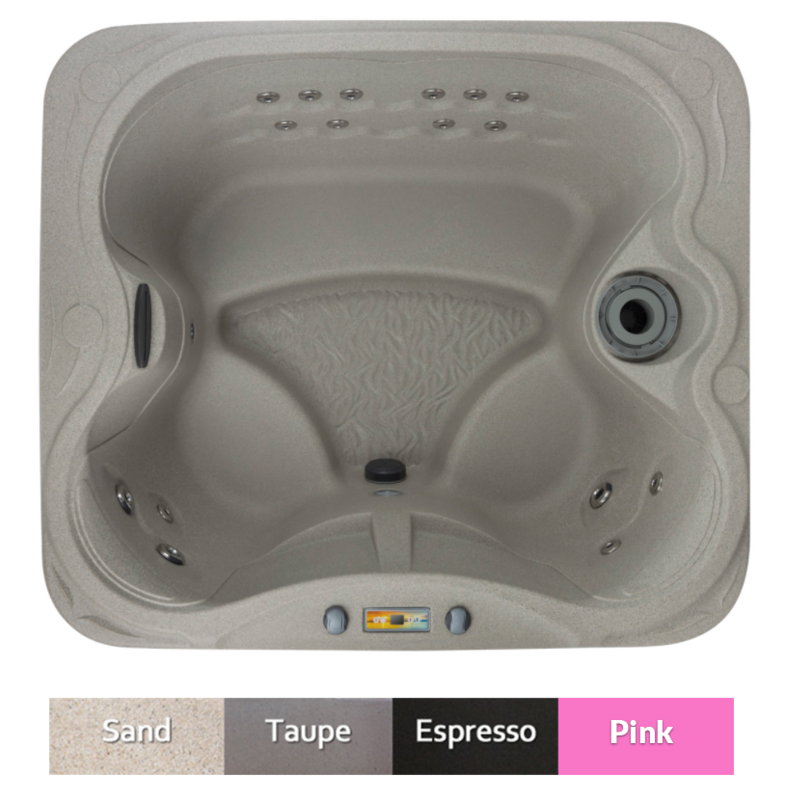 With the included locking cover, your spa is complete! This thermal insulating cover not only protects your water from outside dust and debris, but also holds in the heat to keep your spa as environmentally safe and economically efficient as possible. This fully equipped spa cover is made from the most technologically advanced materials and assembled with the same techniques and ways that high end spa covers use. This spa cover is both beautiful and functional and tops off your spa purchase with everything you need to have a spa in your home at one low price. Fantasy spas are ready to "plug and play" as soon as you receive them. With the GFCI (ground fault circuit interrupter) built right into the cord, it's a snap to plug your new Fantasy spa into a standard 115v outlet. 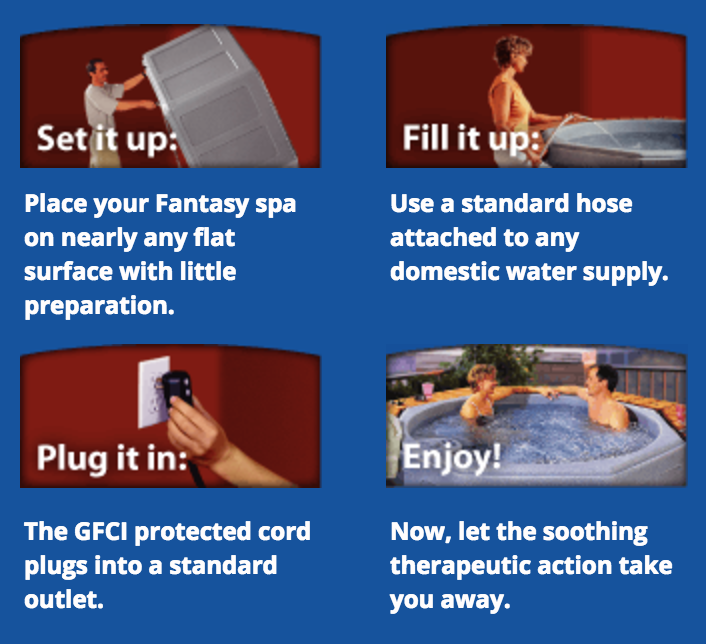 This is one of the greatest features on the Fantasy spas, because you don't need any special electrical work done to use your new spa. Just plug it in, and enjoy! Stop into one of our locations or contact us today!